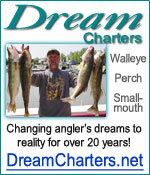 We are a third party provider of information regarding Lake Erie charters and charters businesses. We are not totally bias in that we do accept payment for advertising within our website. These "sponsors" and there additional information are clearly marked so that any visitor should understand their paid ads from the free comprehensive listings. 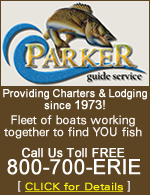 We focus on providing one of the most comprehensive lists of charter boat businesses on Lake Erie. It has been our goal and motivation to bring you, the fishing public, together with professional, reliable and registered charter boat businesses. Although we strive to have the most comprehensive list, at times we find that our list needs to be corrected. If you find this to be true about any charters listed within our pages please use the Contact Us form to notify us of any outdated information.